The initial current limiter reduce the output voltage at the load side down to a point where the adjusted current isn't exceeded. Therefore it is not possible to connect a control electronic or electromagnetic components to the load side. Initial current limiter are only applicable for classic motors and ohmic load. Just one single motor can be connected at the output of the initial current limiter. Parallel operation of multiple devices using multiple socket outlets or distribution boards is not allowed. Posibly drives with heavy starting or motors with low torque (e.g. compressors, blowers, pumps, motors and partiylly collector motors) can't be started with initial current limiters. The reason is that with the limited current the motor doesn't induce enough torque. For these critical cases the solution is our initial current limiter type "Voltage control". 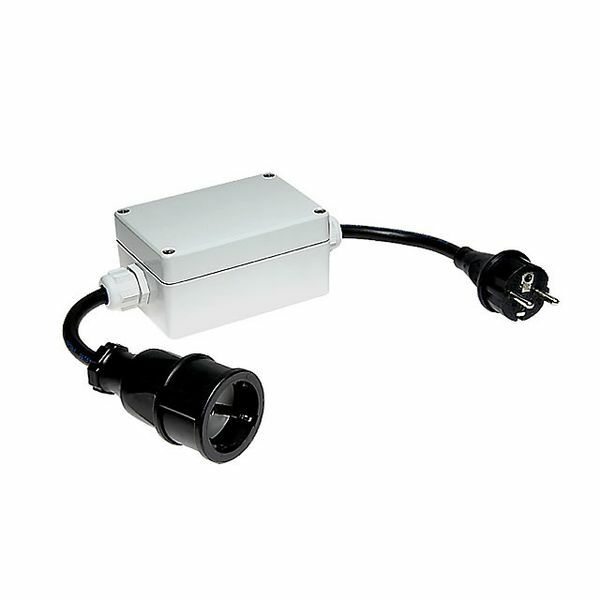 This allows a much higher output voltage, so that the most critical applications also can be started. Depending on the ohmic resistance of the load it will be higher starting currents. The current peak by starting is prevented, so that the fuse does not blow. But it is necessary that the power supply as e.g. a power unit supplies a high enough current, that the motor can create enough torque to have the possibility to start. 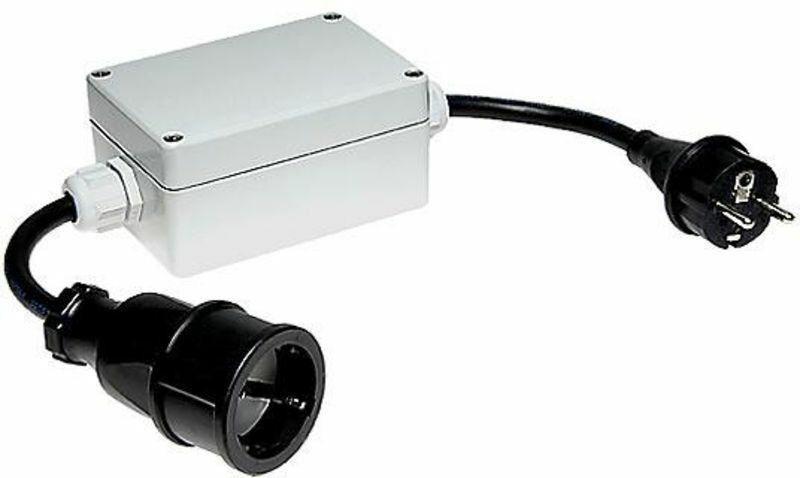 The KLIBO single-phase initial current limiter is installed between the mains connection and the consumer. The control unit detects when the consumer is switched on and limits the start-up current to the adjusted value, making the start-up smooth and protecting the drive. 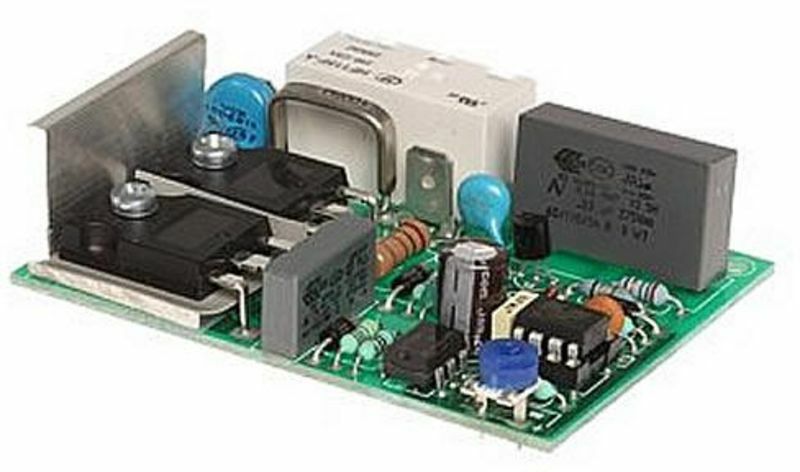 The current limit is adjustable and can be set to a value that will not trigger the circuit breaker. The load detection is another highlight of this initial current limiter. Many commercially available initial current limiters only work when the mains voltage is switched on and the consumer is plugged in at once. Most products of our competitors doesn't allow to switch on the device between the limiter and the motor. In this case the control wouldn't work and the motor would start with a multiple of the rated current. Our limiter is equiped with a load current measuring which detects when the machine or the mains voltage is switched on. The current limitation therefore is independend from the position of the switch in the circuit. By using a bypass relay the KLIBO single-phase current limiter operates nearly lossless and without EMC interferences after start-up. Please note that only one consumer at a time may be connected to the device. Machines with asynchronous motors, eg.